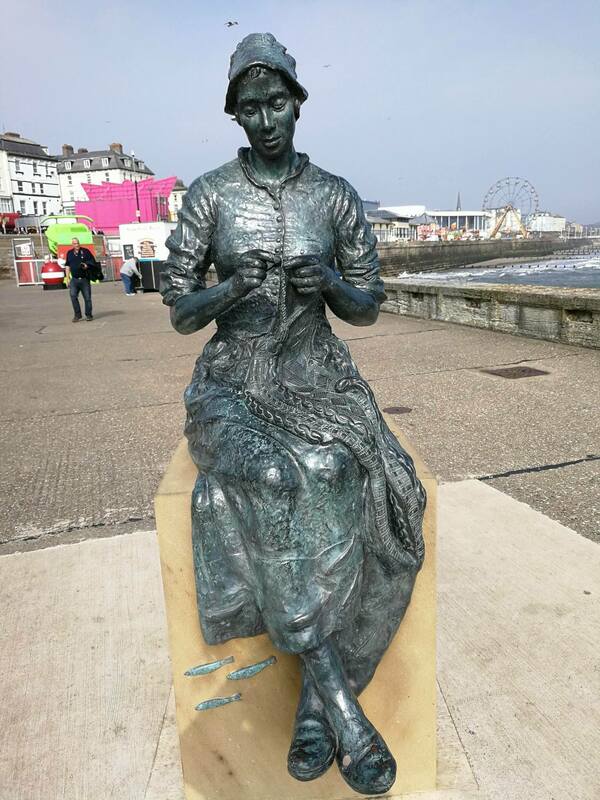 Glynis and Owen are now home safe and sound again after their international travels, in which they had many adventures (and I am pretty sure Owen also caught some fish!). 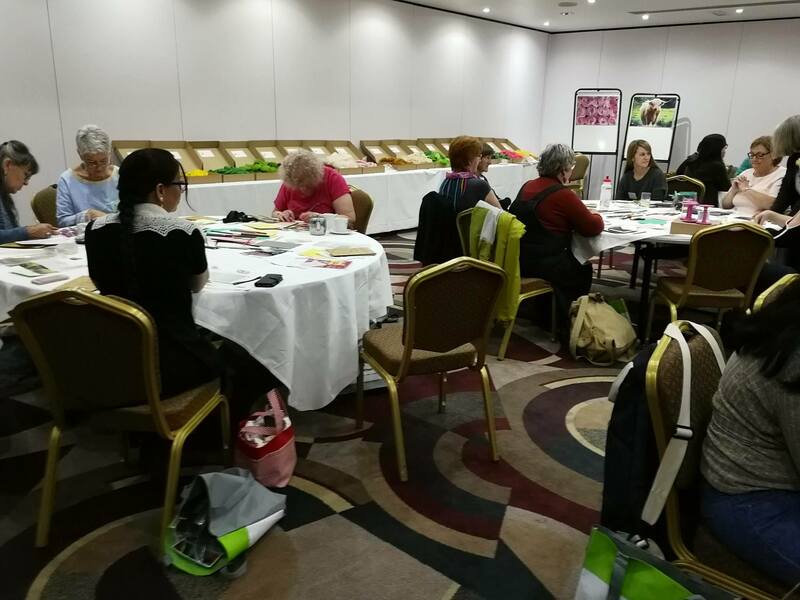 We shared some of their journey on our Facebook page, and in this post, Glynis shares with us a more in depth look at the retreat they attended in the UK, organised by Ruth of ‘The Wheel Ewe.’ Thank you Glynis for sharing this with us! With jet lag forgotten we can now reflect on the amazing Wheel Ewe Retreat that we attended in Edinburgh early in October. It was held at the very nice Capital Hotel, which provided us with excellent rooms and very good meals over the two days. Rooms for the workshops were spacious, well lit and nicely warm. 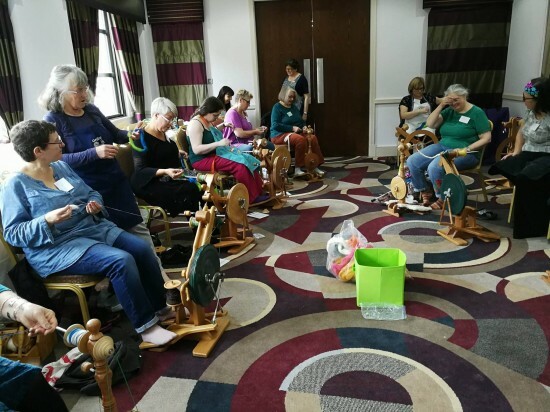 Organised superbly by Ruth Robinson owner of The Wheel Ewe, the retreat attracted spinners from all around the UK as well as from Europe. So keen were many of them that they started arriving a couple of days before the scheduled start. Ruth had brought together a great mix of tutors with a huge amount of expertise and experience. All of them are published authors of books on their specialist subjects. Jane Deane kicked the retreat off with a journaling class. 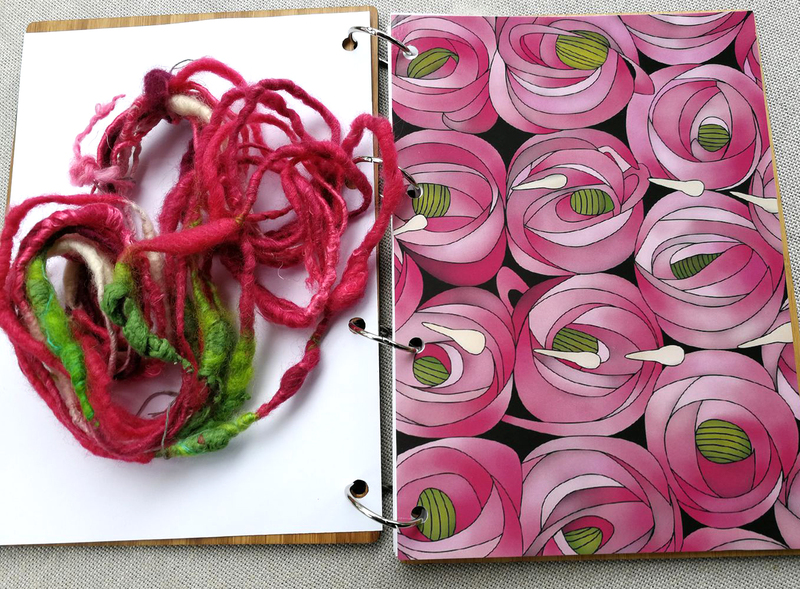 We were given wooden covers with a number of pages to insert once we had woven the cover design which was based on the style of Scottish artist, Charles Rennie Macintosh. Jane gave us a base picture that we were to look at closely and she directed us how make our way far enough into the picture that we could design a yarn depicting the chosen part. There was heaps of fibre in all the possible colours for us to spin yarns for either of the two pictures supplied. It was a great exercise that was enjoyed by all. 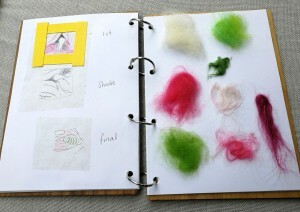 During the event Jane also taught spinning exotic fibres and it sounded as though the wallaby was a real challenge. I saw some great examples of the outcomes though. 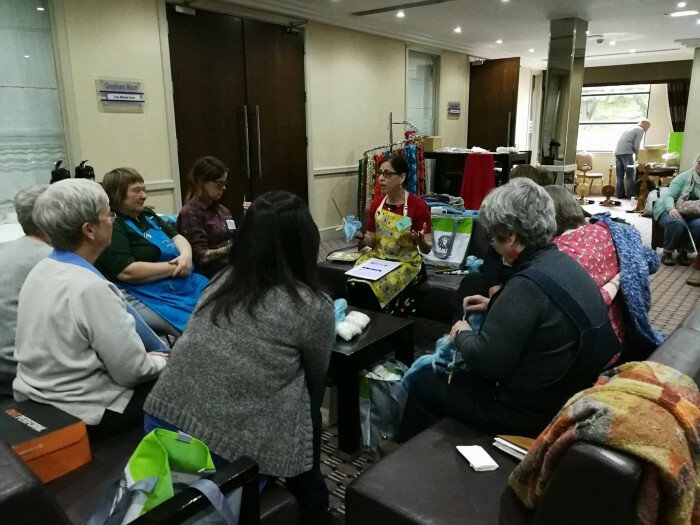 Sarah Howard and Elisabeth Kendrick were there to teach several weaving classes which included pattern making and of were based around a rigid heddle loom. The range of garments that these ladies had on display to show the possibilities of a simple loom was amazing. Every day they both appeared in some new and beautiful garment. 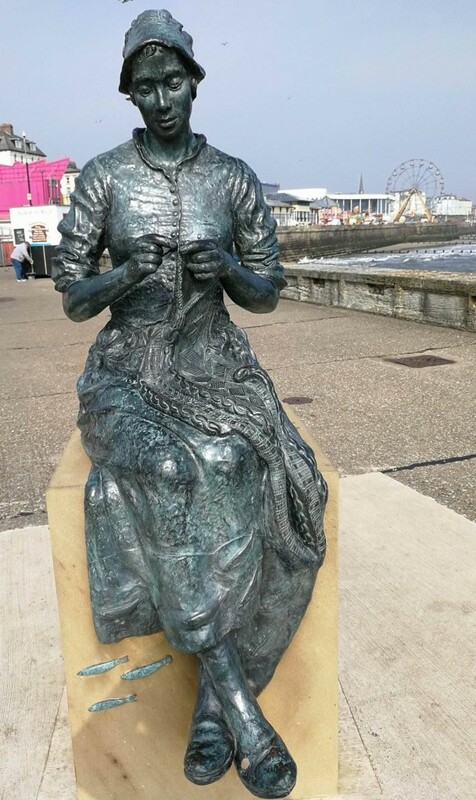 This is Sarah wearing one of her woven garments. 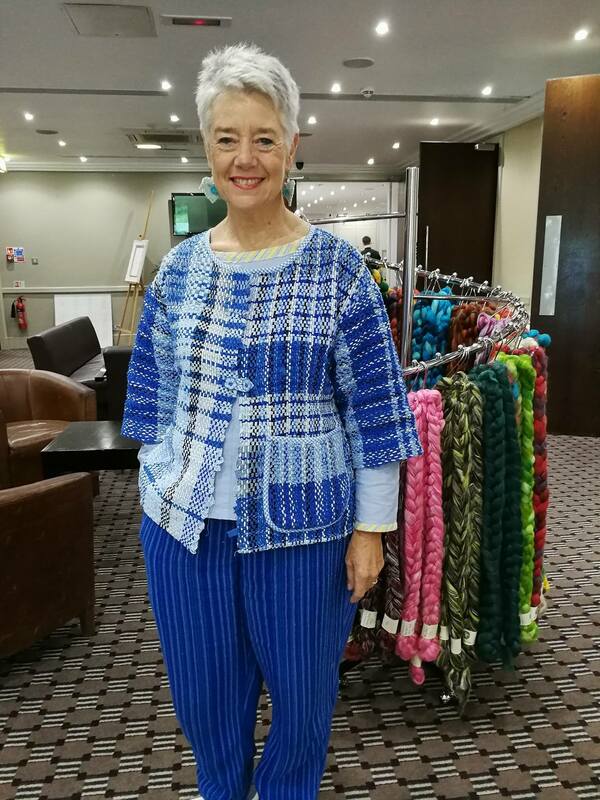 DJ Stefek from the Shetland Islands inspired all in her Turkish spindling classes and the beautiful fine work done by both her and her students was fantastic. Janet Renouf Miller had silk spinning as her specialist subject and a wide range of options for using silk in spinning were taught. Ruth herself taught an art yarn class, with tail spinning and also a brand new technique that she had discovered herself. This was a fun class that I was pleased to have the opportunity to attend. Ruth had asked me to show how to spin on a stylus and I must say the students were very fast learners and I think all mastered the technique very quickly. We spun merino sliver, colourful rolags from the blending board, and lastly cotton sliver which is well suited to stylus spinning. This fibre caused a little perturbation, but again all turned out a good yarn. Owen spent his time checking wheels for everyone which certainly was much appreciated. He had also prepared a short presentation for the attendees to see the Majacraft factory in operation and to see the people who make our products, Andy, Rob, Lance, Andrea, and Amanda, with Dylan and Toni helping out when needed. Probably the best thing about retreats is the opportunity to meet and learn with other people who share your passion, and we absolutely loved meeting so many new friends. We want to thank Ruth, her husband Jonathan, son Nathan, and daughters Sarah Jane and Anita, and friend Alex, for all their efforts in planning and delivering such a wonderful retreat. I do hope there will be more and fingers crossed that we will be invited to attend again. It was such a pleasure and the timing so perfect to get my mind off my operations. So cool to be with a group of like minded creative folk for a few days. It was a great event. There was an atmosphere of fun and learning-and as usual, everyone was happy to share their efforts (even if they weren’t the greatest yarn they had ever spun). That was the fun of learning. I passed on the wallaby but was surprised to see what some spinners were able to do with this fibre. Spinning with the spindle was really unknown territory for me but it has that fairy story quality to it and I did manage to cut myself (didn’t sleep for years to be woken up by a handsome male). But apart from that-the weekend was so enjoyable. Thanks Ruth and family as well as Glynis and Owen, the other tutors and my fellow spinner.